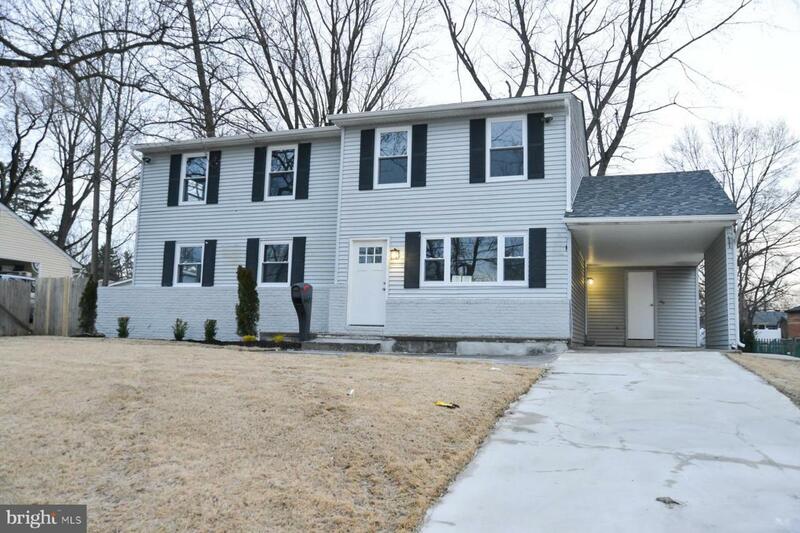 Beautifully renovated, must see, very spacious four-bedroom home with lots of natural lighting throughout.The kitchen has new cabinets, counters, and back splash, with all new stainless-steel appliances including a dishwasher. Lighting fixtures have all been replaced throughout the home and so has the flooring. No doubt that this family room off the dining area will quickly become a favorite location with its wood burning fireplace and easy access to the outdoor deck overlooking its~ large fenced in backyard. The first-floor plan additionally boasts a separate living-room as well as an office area, with two of the four bedrooms on this level. Upstairs in this home is just as ample with plenty of storage space here too. This level has an additional, delightful, and unexpected bonus; the top of the wide staircase opens to a large open room living space. Complete with sliding glass doors on the opposite wall, this room/area has access to a private second-floor deck! Of course, second-floor bedrooms have been tastefully refurbished too with a walk-in closet provided in the master. All the bathrooms in this home have been completely redecorated with beautiful fixtures and detailed tile work elements. Book this showing on your list of affordable four bedroom move in properties while it lasts!